This is the week of all weeks for Sigma Kappa. Today marks the second day of Big Little week! 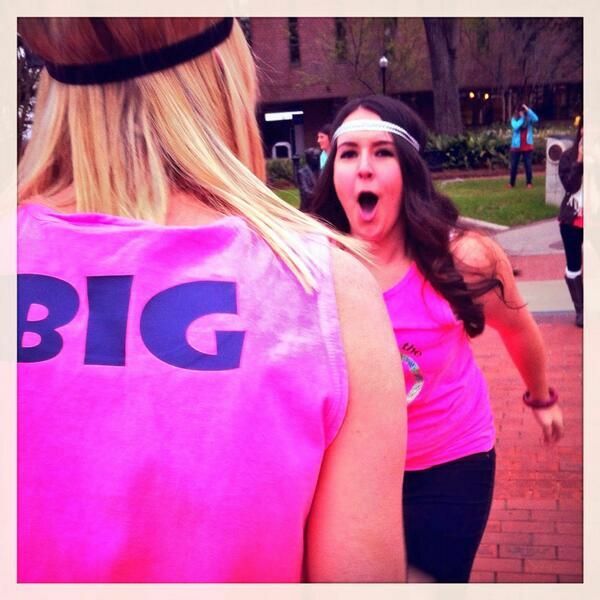 For those of you who don’t know, Big Little week is an event that all Penn sororities hold for their new members. Girls from the newest pledge class – the “Little” sisters – get paired up with girls from the pledge class above them – the “Big” sisters (i.e. a freshman gets paired with a sophomore). The catch is that the Littles don’t know who their Bigs are! Reveal – the day that the “Littles” finally learn who their “Bigs” are! For a full week, each Big organizes ways to celebrate her Little and welcome her into the sorority. This can include baking, giving sorority apparel as gifts, making posters, and (my personal favorite) getting frat guys to sing/dance/read poems or books/do anything you can think of for your girl. After spending most of my weekend crafting, baking, and contacting friends in fraternities, I am pretty tired. And I still have 3 more days of this! I have to admit, though, it is extremely rewarding to see how much the girls appreciate what we do. They’re having a lot of fun, and I can’t wait to see them all meet their Bigs on Friday!